There is a situation where you want to record your Windows 10 screen and turn it into an animated GIF. Probably, you are an app developer and want to create a short demonstration on how to use certain feature of the app you are developing. 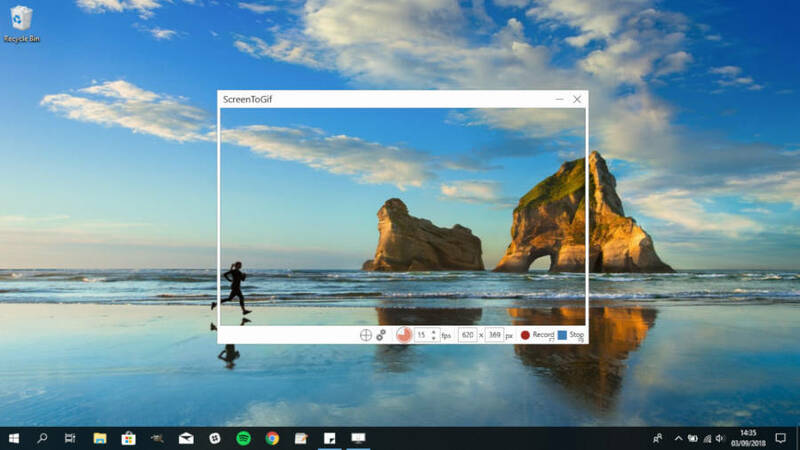 One of the apps you can use to record your Windows 10 screen is ScreenToGif. This app allows you to select certain area on the screen to be recorded and then turn it into an animated GIF. The use of this app is also quite simple. Advanced video editing skill is not required. ScreenToGif is developed specifically for Windows platform by a developer named Nicke Manarin. Before using it, you can download the binary file of this app on its official site and install it on your computer. Here is how to use ScreentoGif to record your Windows 10 screen and turn it into an animated GIF. Assuming that you have installed ScreenToGif app, launch it to get started. Select the Recorder option on the ScreentToGif main window. Use the selector to select the screen area you want to record and click the Record button. Before start recording, you can also set the frame rate of the clip you want to record. You can also set the clip resolution by resizing the selector (or you can also do it later on the editor). Click the Stop button once you are done recording. ScreenToGif will take you to its editor. If you have never used any video editor app before, the editor of ScreenToGif might looks a bit scary. Don’t worry, if you just want to convert the recorded clip into an animated GIF then there are no much things you need to do. But first, you might want to resize the clip first. If so, click the Image menu and click Resize. As you can see on the Image menu, there are several things you can do apart from resizing the clip. Like cropping the clip, adding watermark, flipping the clip and so on. You can go to he Playback menu to preview the clip before you convert it into GIF. 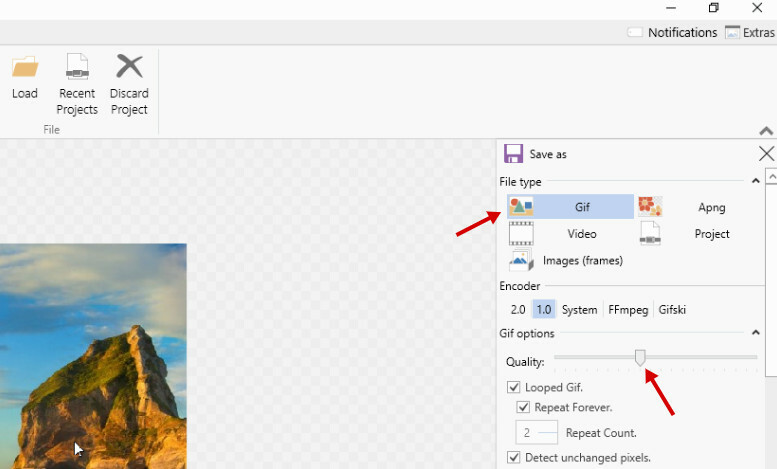 To start converting the clip into an animated GIF, go to the File menu and click Save as. A new panel will appear. 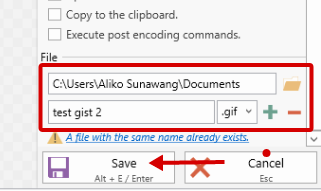 On the File type section, leave it keep Gif since you want to turn the clip into an animated GIF. You can set the quality of the clip by sliding the bar on the Quality section. On the File section, select a destination where you want to save the converted clip and give your clip a name. Next, click the Save button. Wait until ScreenToGif is done converting the clip. This process can be vary depending on the clip duration as well the resolution.